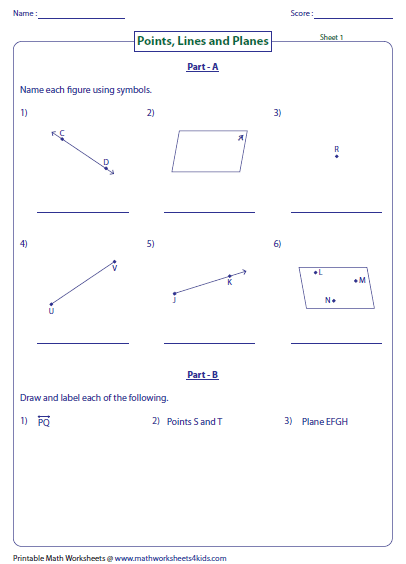 The worksheets contain exercises to identify and draw the points, lines and planes. 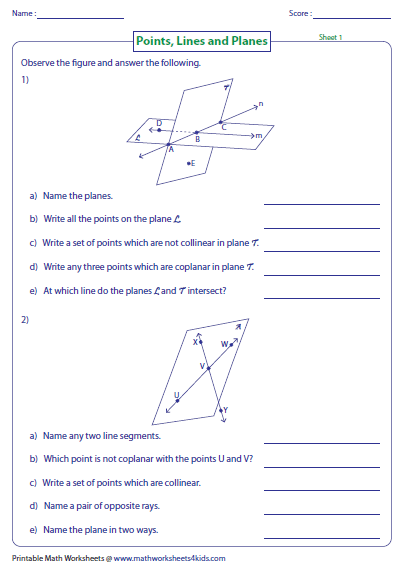 Exclusive worksheets on planes include collinear and coplanar concepts. Interesting descriptive charts, multiple choice questions and word problems are included in these worksheets. Self-descriptive charts contain the definition, diagrammatic representation, symbolic representation and differences between a point, line, ray, line segment and a plane. Chart 3 describes the collinear and coplanar concepts. 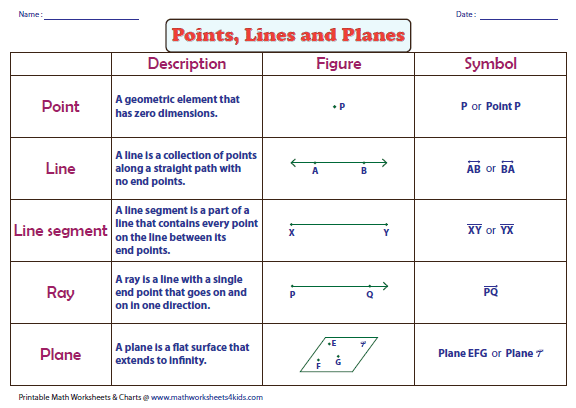 In section A, identify the figure as a line, ray, line segment or a plane and represent them using their symbols. Draw them as described in section B. 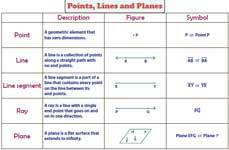 In part A, judge the position of points and find if the points are collinear or non-collinear. In part B, read the figure and declare the statements as true or false. 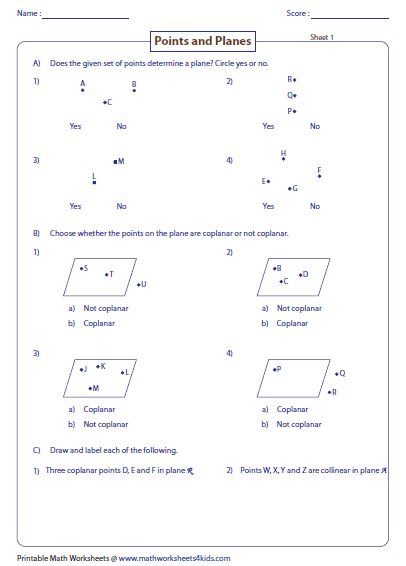 In part A, observe the set of points to determine a plane. In part B, answer the forced choice questions on coplanar concepts. In part C, draw the described figures. 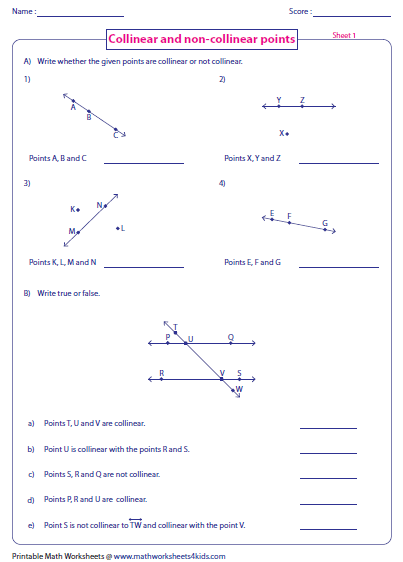 Read the given figure and answer all the word problems in these worksheets to become familiar with the concepts of points, lines and planes. It contains an enormous worksheets on identifying, naming and drawing lines, rays and line segments, simple word problems and printable charts.